Flora Dale was kidnapped for more than a year, but her release wasn't a freedom, she is still lost... Now she has a mission, saving Stacy Summers from her kidnapper... entering in the lion's den will help Stacy or will be the end for both of them? "Listen to me. Believe me. Trust in me. I know what I am talking about. I'm comfortable. I'm not in pain or hungry or cold or hot or frightened. I need nothing. I want nothing. Locked alone in the dark, I am perfectly all right." Breath in, breath out, breath in, breath out, are you scared of the dark? I have seen a lot of movies that the main character has been kidnaped, but this is the first time I read a book talking about the after, how the victim has to face the family and try to live with all the suffering, is not easy and they need a lot of help. 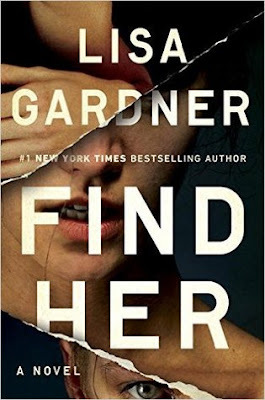 I would recommend this book if you are searching a mystery and scaring book, you will love it! Are you a victim or a vigilante?